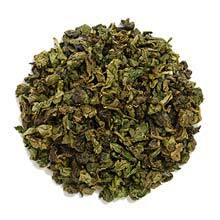 This tea is one of the four famous Anxi Oolong along with Tie Guan Yin. The name Huang Jin Gui means "Golden Osmanthus", which is earned through the golden liquor its yellowish green leaves infused into, and for its distinct Osmanthus flower-like aroma. Truly a treat not to be missed. Distinct Osmanthus flower-like aroma. The taste is rich yet complex with a flowery honeysuckle flavor. Curled yellowish green tea leaves (mixture of one bud one leaf and one bud two leaves) with stem.